Excess manure from Maryland’s chicken farms is polluting our cherished waterways, and Maryland residents are having to spend billions to clean it up. A bill currently being debated in the Maryland legislature would go a long way toward fixing this problem. Send a quick note to your state senator and representative now in support of this common-sense legislation. One of the things I love about being a Maryland resident is all the outstanding water we have in this state. From Chesapeake Bay to the small streams that dot our landscape, our waterways are what makes the state great. 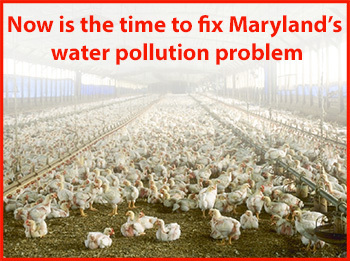 Sadly, Maryland has a water-pollution problem, and one of the leading causes of pollution is nitrogen and phosphorous from chicken farms. As if that wasn’t bad enough, it’s us taxpayers who are stuck with the cost of cleaning up after them. I respectfully encourage you to support the Poultry Litter Management Act (SB496/HB599). This bill would establish that poultry companies are responsible for the manure they produce, and would require them to remove excess manure from their contracted farms. 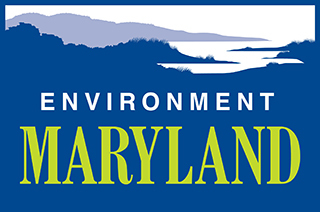 Not only would this bill help to ensure clean water for Marylanders, it also shifts the responsibility and cost from the taxpayer to the industry causing the pollution. This bill makes perfect sense for Maryland. Please do all you can to ensure it passes.